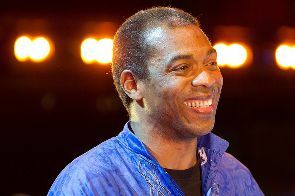 Legendary Nigerian musician Femi Kuti has told Thenetng that he’s not interested in the result of the US elections that’s been generation mixed reactions world over. Asked if he had any opinion about the elections, Femi Kuti said, ‘Even if I did, I was shocked at the way the so called super world nation addressed the whole election, but I’ve been shocked for a long time. When Bush and Tony Blair went to bomb Iraq and they have still not been prosecuted in the world court, this is still shocking me because if it was Charles Taylor, he’ll be locked up right now and that’s double standard in world affairs.